You can’t visit Thailand without seeing Bangkok, its vibrant and busy capital and one of my favorite cities in the world. The Grand Palace, the former home of the royal family, is the number one must see attraction in Bangkok. 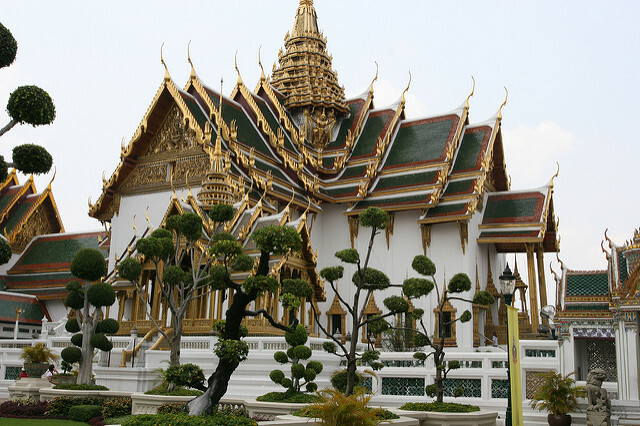 Inside the Grand Palace, you can visit the famous Wat Phra Kaew and the Emerald Buddha. As my time in Bangkok was short, I combined my visit to the Grand Palace with other nearby temples: Wat Pho (with its famous Reclining Buddha) and Wat Arun. 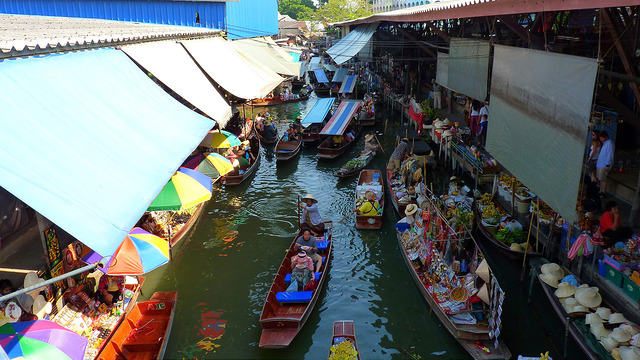 Damnoen Saduak Floating Market is the largest and most famous of Thailand’s iconic floating markets and is conveniently located about 100km from Bangkok. The boats going up and down the crowded canals sell fresh fruits and vegetables, coconut juice and local food cooked from floating kitchens right on boats. I visited early in the morning – this is the best time to visit when the floating market is at its busiest and most colorful. One of the best things to do in Thailand is to visit one or more of the hundreds of temples in and around Chiang Mai. 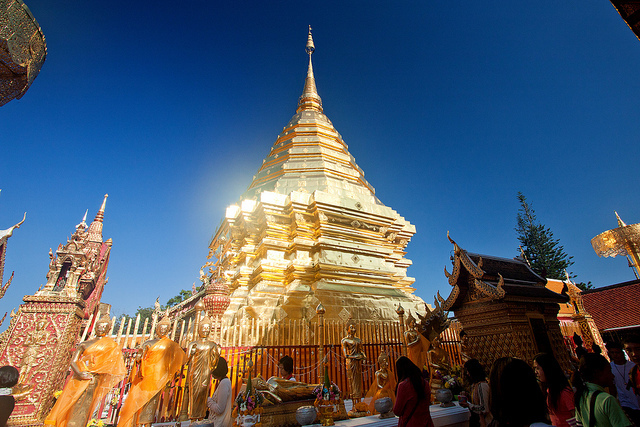 Do not miss Wat Phra That Doi Suthep – one of the most beautiful temples in the area! I climbed the stairs to the top (there is also a tram) and the panoramic views of the city and the surrounding area were stunning. Other temples I really enjoyed and would recommend in or near Chiang Mai include Wat Chiang Man (the oldest temple in the city which houses the Crystal Buddha), Wat Sri Suphan (the Silver Temple), Wat Pan Tao (wooden temple), Wat Suan Dok (notable for its golden stupa and its bronze Buddha), as well as Wat Phra Singh and Wat Chedi Luang. 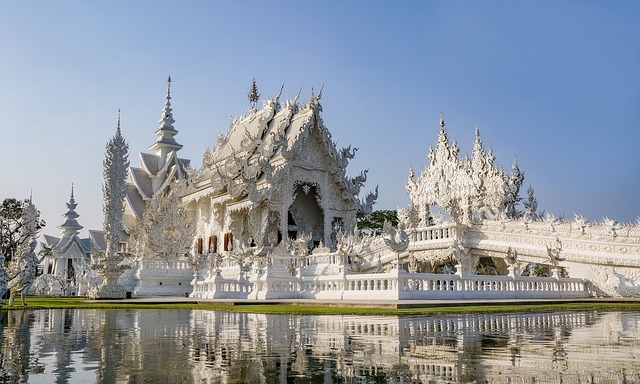 The famous and stunning Wat Rong Khun (also known as White Temple) located near Chiang Rai is actually an art exhibit build in the 1990s in the style of a Buddhist temple. The inside of the White Temple is full of quirky images with an eclectic mix of Buddhist icons and pop culture images. The Historic City of Ayutthaya is a UNESCO World Heritage Site. Ayutthaya was the second capital of the Siamese Kingdom until the 18th century when it was destroyed by the Burmese army. 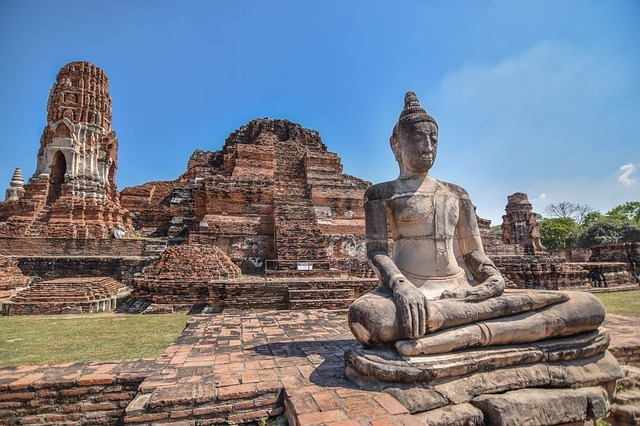 The archaeological ruins of the old city are preserved in the Ayutthaya Historical Park. The towers, temples, palaces, statues and monasteries give an idea of the city’s past size and splendor. 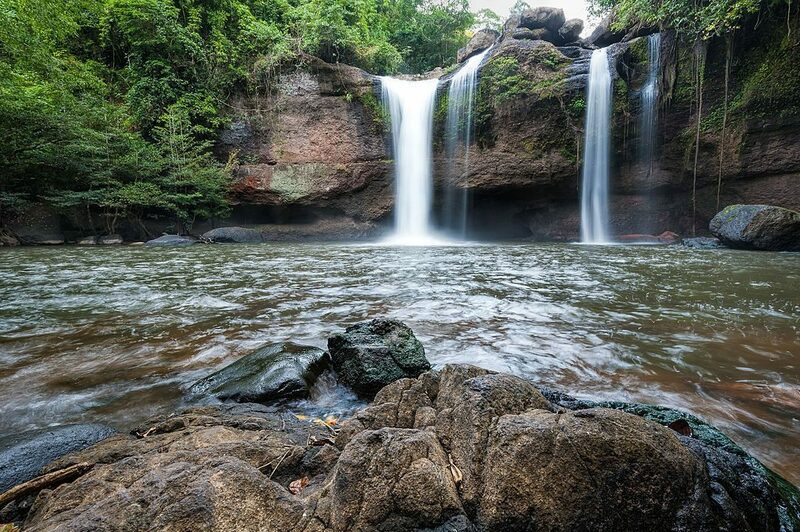 Khao Yai National Park is one of largest and most visited national parks in Thailand located only three hours driving distance from Bangkok. Khao Yai is part of Dong Phayayen-Khao Yai Forest Complex, a UNESCO World Heritage Site. Hikers can explore the forests and grasslands, mountains, waterfalls and view wildlife, including gibbons, bears, elephants, deer, macaques as well as over hundreds of species of birds. Last but not least, no trip to Thailand would be complete without a visit to one of its many gorgeous beaches and islands! With sheer limestone cliffs that appear vertically out of the emerald green water, Phang Nga Bay is one of the most beautiful places in Thailand. The bay houses a group of more than 40 small islands that come straight out of the sea, but there are also caves, mangroves and lagoons. Two highlights of Phang Nga Bay include Ko Panyi (also known as Koh Panyee, a stilt fishing village) and James Bond Island (a needle formed limestone rock in the sea featured in the James Bond movie The Man with the Golden Gun). I took a boat trip from Phuket, which is the best way to see Phang Nga Bay. Fortunately, there is never a bad season to visit Phang Nga Bay – the bay is naturally protected from monsoons and the water remains calm year-round. These are some of my favorite places in Thailand. 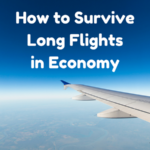 They provide a good introduction to this incredible country as I experienced a little bit of the different things Thailand has to offer including history, culture, food, temples, cities, islands and beautiful natural scenery. Thanks for sharing this post !! Thailand is really a nice place to visit in holidays . 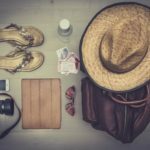 i will surely visit Thailand in my next trip and will do these things in Thailand to make trip enjoyable. These places are really amazing to visit. Thailand is such a beautiful place for visit.this blog is include full about places to visit in Thailand. thanks a lot for sharing this post. I hope you include more useful post. very beautiful pictures ..Thailand is very nice place to visit. i will go there in my next trip. love this place.. and thanks for the information. and best of luck for your incoming blogs..